Reid Rosenburg is a recent newcomer to fotoflōt. After purchasing his first fotoflōt he posted about it on his blog. Reid’s first point about HDRs (High Dynamic Range Photos) is right on. Every photo is compromised by glare and reflections when framed behind glass, but this is especially true for HDR photos, which often have an especially rich range of colors and tones. His second point hits on the fact that framing often isn’t an option – or is an expensive one – for “non-standard” sizes. For example, Reid’s fotoflōt is 7.5″x15″, which is a 1:2 aspect ratio, or proportion. Most framing shops don’t offer 1:2 proportion frames, or else offer them as a custom size. The same goes for the many other panoramic sizes offered by fotoflōt. And if you’re buying your mounted photo from an online service, shipping can get expensive with all the glass and wood. 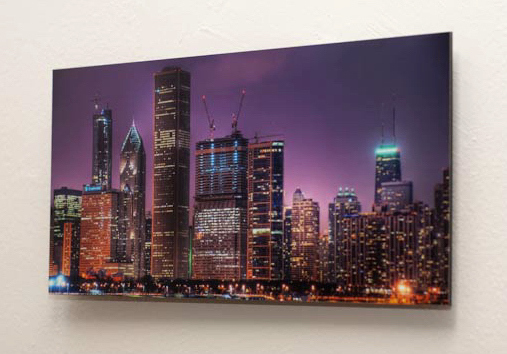 In contrast, fotoflōts consist of light-weight acrylic and mounting bracket. You can read all of Reid’s blog post here.